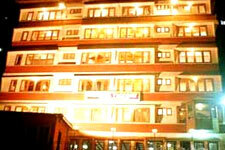 Hotel Victory, Shimla is a popular name among the budget hotels in Shimla. Appointed with a wide array of modern facilities, Hotel Victory in Shimla is favored for its high quality of service, coupled with warm and friendly hospitality. The hotel is the ideal resting place for budget constrained travelers looking for a comfortable stay at reasonable prices. The location is ideal-near the main shopping and tourist centre ‘The Mall’ which is at a walking distance. ISBT and Railway station are 5 minutes walk.